Before I bought my iPad, I read many articles about what experts thought was the best use of this now iconic tablet. Most thought the iPad's sweet spot is entertainment. You know, hooking up to iTunes to watch videos, listen to music, read magazines - and of course to play lots of games. But when I bought my iPad, I was looking for more than just pure entertainment. I also wanted to use it for office work when needed. And in my office, Microsoft Office is king. Now I can tell you right now that I am no expert on Microsoft Office documents. I am more a viewer of Powerpoint, Word and Excel documents than a master creator. But since you never know when you might have a need to tweak a PowerPoint slide deck or change a value in an Excel spreadsheet, having a good app on my iPad that gives me the ability to view and edit MS Office documents is a plus. And I have found the app that I needed with Polaris Office. 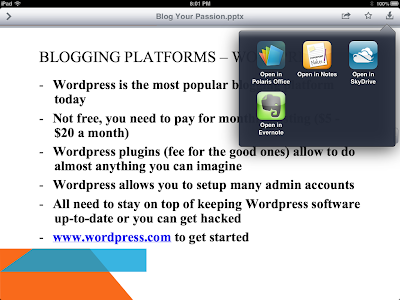 With Polaris Office, I can now view, create and edit any MS Office document right on my iPad. The interface for Polaris Office looks like the one that I am used to on the MS Office application on my work PC so the learning curve with this app is minimum. Actually the Polaris Office interface is better because it is very clean and easy to use. I access all my files from the cloud using Dropbox on all my devices and Polaris Office integrates with Dropbox seamlessly. Polaris Office is great for simple actions like using the iPad as a viewer for a Powerpoint slide presentation since the app is even good at building out slide animations. And Polaris Office is also good for making and changing presentations right on the iPad. To test out the app, I took some existing Powerpoint slides that I used during a presentation that I gave on blogging and downloaded the slides from my Dropbox to Polaris Office on my iPad. I decided to add a new slide to the end of the deck and I did that easily using the "+" button at the bottom of the screen. And the new slide had the same blue and orange background theme as the other existing slides. I then added an image from my iPad photos on the new slide easily by just touching the "+" button at the top of the screen. I was then able to move the photo around and resize it as needed and then add a text box. 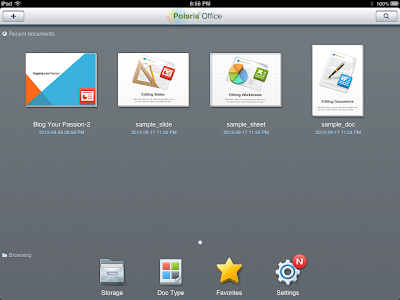 In addition to Dropbox, Polaris Office also integrates with other cloud services including Box and Google Docs. And if you want to create MS documents on your iPad, Polaris Office comes with 15 templates, 18 2D/3D charts, and 80 various figures so you can make documents with the same flair as those made using MS Office on the PC. 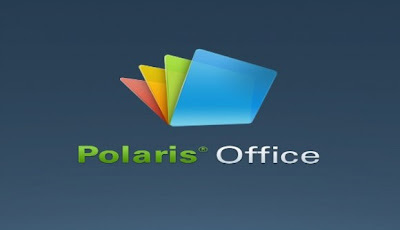 Polaris Office is compatible with iPhone, iPad, iPod touch and require iOS 5 version or later. The app also supports Korean, English, Japanese, Spanish, French, German and Chinese. 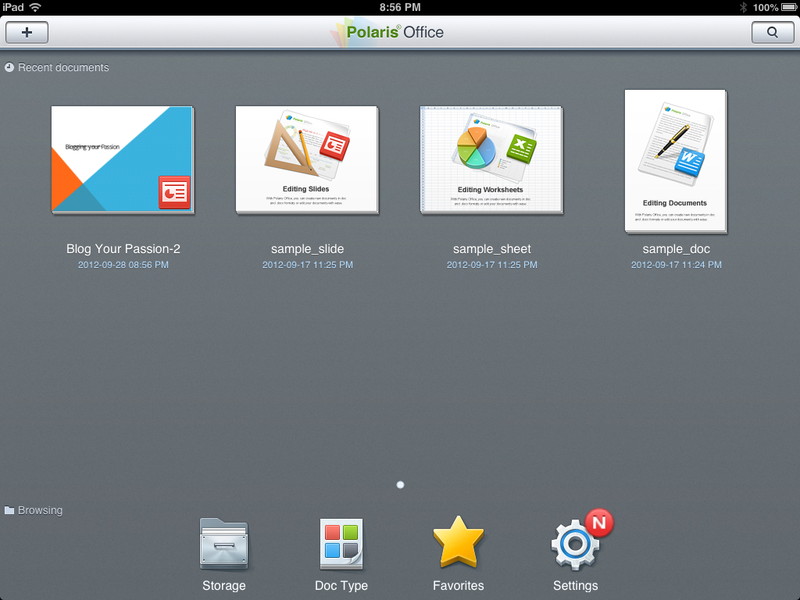 If you want to try out Polaris Office, this is a good time to purchase the app. For a limited time, the app is $12.99 instead of $19.99, which is a savings of 35%. Disclosure: I was compensated for my time to review this application. I also received a complementary iTunes download code for the app to facilitate this review. All opinions are my own.